WaiBOP’s chances of making the semi-final stages of the ASB Women’s League ended at Rotorua International Stadium when unbeaten Mainland Pride beat them 7-0. After leading 2-0 at the break, the Cantabrians confirmed their superiority with a stunning second half performance which flagged them as serious contenders for this year’s title. WaiBOP’s problems began before the game with several players feeling ill and skipper Alex Shadbolt left the pitch after only seven minutes. Mainland’s Annalie Longo began the scoring in the 6th minute before Tessa Lewis doubled the visitors’ lead after 24 minutes. For the rest of the first half, WaiBOP worked to get back into the game but Mainland took control as soon as the second spell started with Longo notching her second goal. Lewis added her own second goal in the 65th minute and a minute later Aimee Phillips made it 5-0. Substitute Chloe Webster scored two goals in a three-minute spell with quarter of an hour to go. 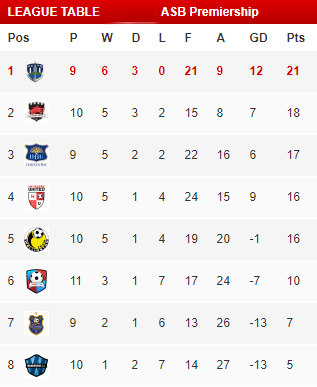 The result leaves WaiBOP in 6th place on the eight-team ladder while Mainland go into second spot. Next Sunday, WaiBOP host the New Zealand Under 17 Selection at St Peter’s School, Cambridge, kick off 1pm.